During more recent, happier times a development at the Wayland Hall has brought enormous benefits to some of our senior citizens. The Day Care Centre, opened by the present Lady Walsingham, owes much to the efforts and energies of Councillors Roy Rudling. Garnett Mitchell and Cyril Cadman, and it now provides facilities for the Meals On Wheels service, serves coffee and meals, provides transport for the less mobile, and. above all, creates the situation in which people can get together and have a chat. The old Police Station stands on the Thetford Road/Norwich Road corner and during its active life it stood as a stern reminder that law and justice would prevail. 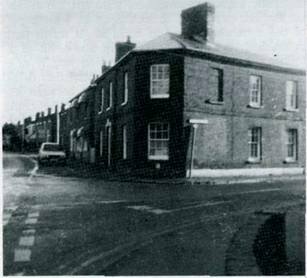 Complete with cells, office, walled yard and living accommodation it was the headquarters of a force comprising one inspector, a sergeant, at least three constables resident in the town, and a constable in a police house in most of the villages in the area. The organisation and procedures ensured that a patrolling or cycling police officer covered every mile, watching, hearing, and. as the old saying goes "seeing every bird that flies", but contrary to present day opinion his degree of surveillance was in no way oppressive because the officers almost with­ out exception were friendly, affable fellows doing their job well, and the public knew that the system provided help and protection.